I can only describe this place as fantasy land, where each view is more spectacular than the next. 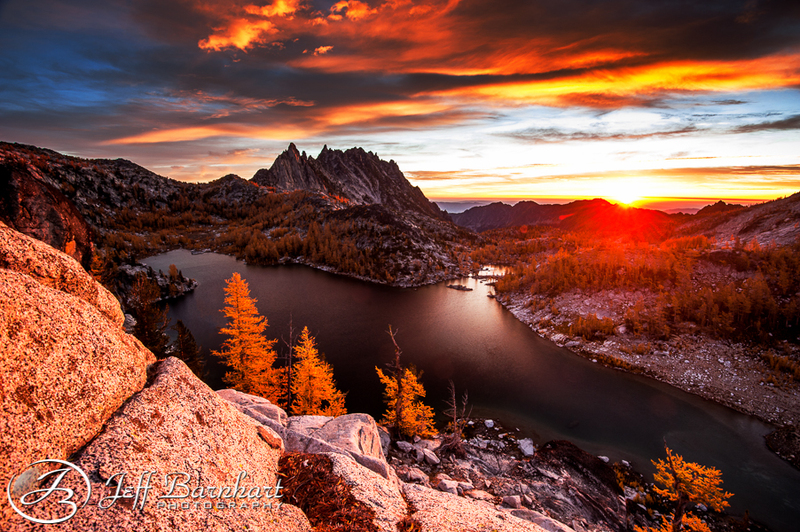 To hike these trails beneath the yellow larch trees, pass through the huckleberry bushes whose leaves have changed to red, skip from one crystal clear lake to the next, stand on sheer granite cliffs to take in the valley below, and camp amongst the mountain goats while under the clear night sky is like something out of a fairy tale. I had been planning this trip for a few years, so when we won the lottery I knew precisely when we had the best chance to catch the epic yellow larch trees in all their glory. I lived in nearby Cashmere for about 7 years when I was in grade school, and my grandma still lives there and she was kind enough to put us all up the night before we started our hike. Thanks Grandma! In the morning we hurried off to enjoy breakfast in the quaint little town of Leavenworth, and then drove to the trailhead. 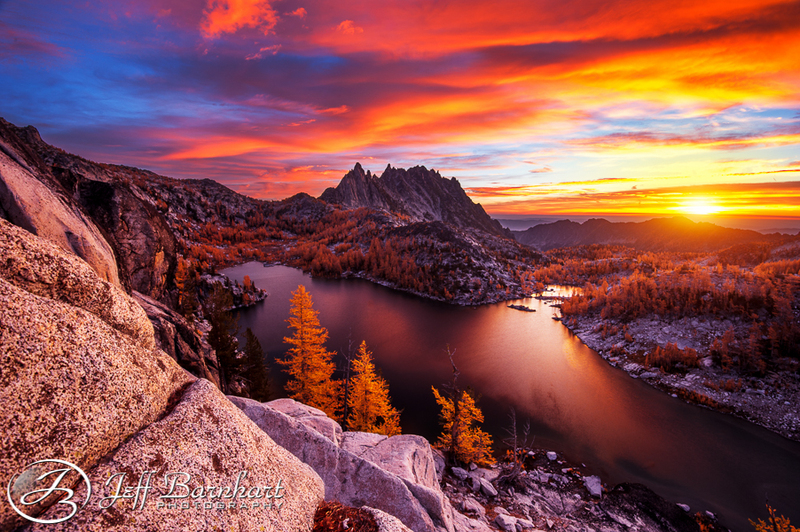 Our plan was to hike through all 18 miles of The Enchantments, so we parked a car on both ends of the trail before starting. While my wife Monica and I waited for Alan Howe, Dan Sherman and Jesse Hazleton to shuttle the cars I moved everyone’s bag into a pile, and when I lifted Dan’s bag I literally laughed out loud and said, “Oh my god, he’s going to die”. I have to give Dan props because his bag literally weighed 80 lbs. Apparently the bag originally weighed in at 85 lbs, and that’s when he had to make some serious cuts, the likes of which didn’t include a second pillow. Just for some perspective, Monica and I had 40 lbs. bags each! Respect Dan. Respect! Our Day 1 hike through the evergreen forest was quite enjoyable with a vast array of fall colors covering the hillside. On our way we received great news from a hiker whom told us that the larch trees were prime, which gave us the boost of hope we needed to actually look forward to the trek we had in store for us tomorrow. 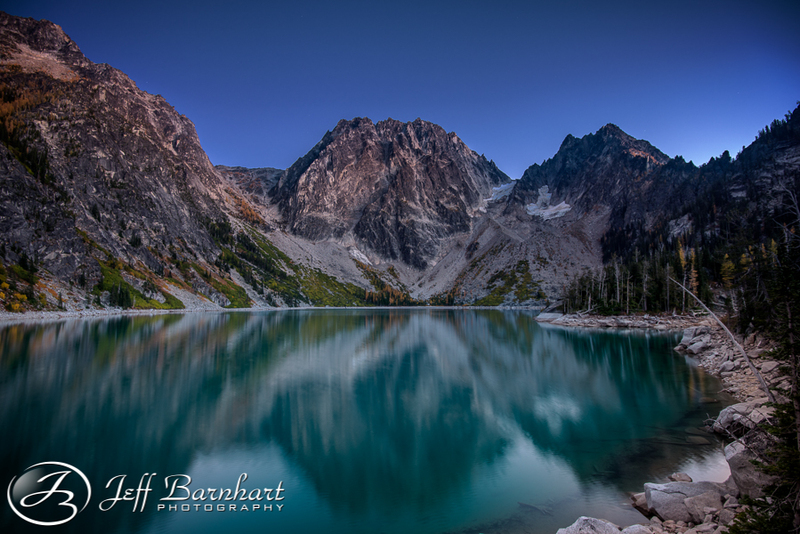 When we arrived at Colchuck Lake we found a fantastic campsite 15 feet from a gorgeous view of the lake. After we setup camp Monica and I took a little walk around the lake to find an epic composition before heading back to camp for dinner. 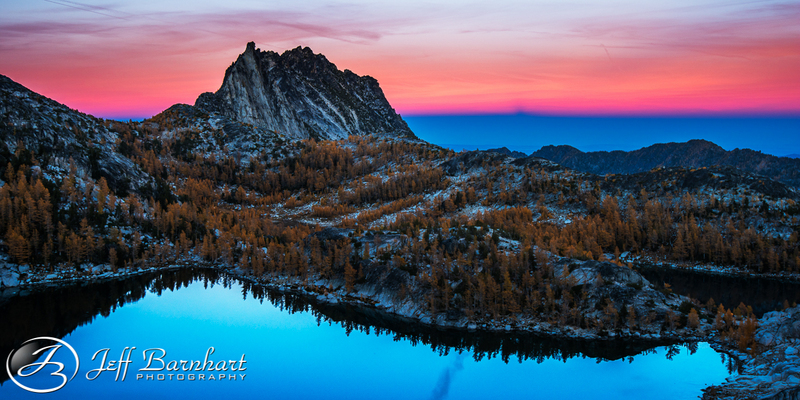 In the morning the skies were still clear so we all hung around our campsite and shot the lake, then enjoy our rehydrated breakfasts and instant coffee, before packing up and heading for Aasgard Pass. I originally described this part of the hike to Dan as “No Picnic”. To those who aren’t familiar, it is .9 miles from the start at the lake to the top with an elevation gain of 2000 feet. You can see the hike that lay before us in the picture above. You basically hike up that rock slide to the left of Dragontail Peak (middle). Do all of that with 40+ lb. bags in a couple of hours and I promise you’ll feel accomplished. J From there it is about another mile though a series of small alpine lakes and tarns to our campsite above Crystal Lake. When we arrived at our campsite we all watched as a rescue helicopter circled Little Annapurna, then landed in the open field across the stream nearby. I have a short video of the helicopter lifting off and heading back to Little Annapurna to rescue an injured hiker on Instagram. 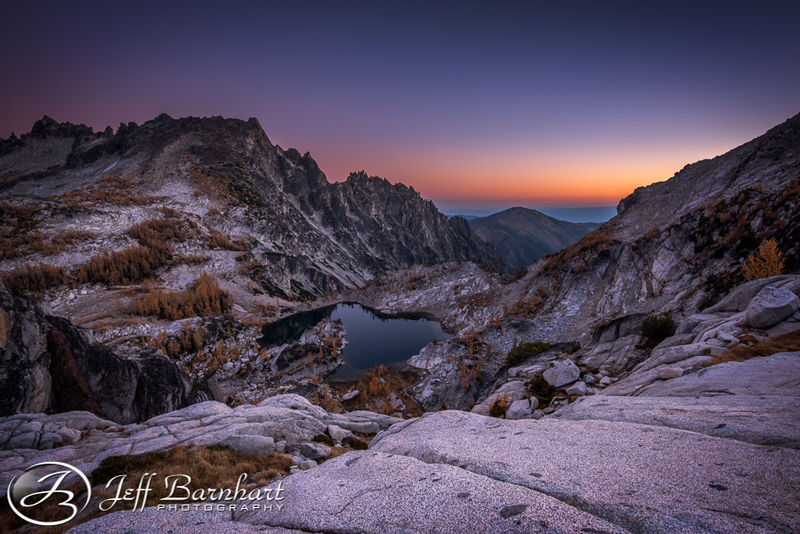 When the excitement was over, we then setup camp and photographed sunset around Crystal Lake (above). Shout out to my loving wife for making us dinner and bringing it to me while I photographed this shot! After breakfast Alan and I went hiking down through this valley and over above Leprechaun Lake on a mission to find even more epic compositions. You can see a few of these shots on Instagram, and I have to say the hike from above Perfection Lake, down all the way through to Lake Viviane during this time of year is the most beautiful hike I’ve ever been on. While on our hike we also found a spot that gave us spotty 4G Network connection on our phones and Alan was able to check the weather report. From the looks of it our best chance for an epic sunrise would be tomorrow morning or the morning after, before the rain clouds would come in. And then morning came. 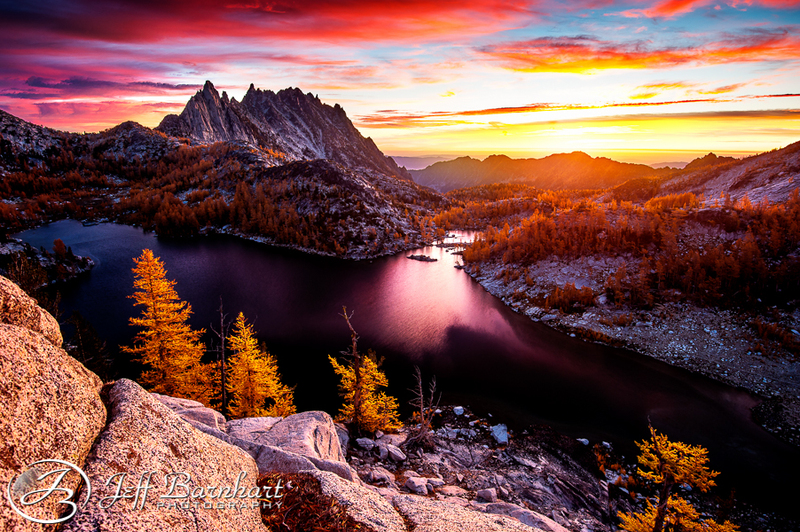 We were all up early and ready for our opportunity for a fantastic sunrise, so we hike out to a spot Zack Schnepf’s had scouted for us previously. LOL. I setup my shot around this area, took 1 shot, then decided it wasn’t working for me, so I packed up and sprinted to find the spot I found yesterday, arriving just in time! Oh, how sweet it is to find colors so bright and vivid! I wasn’t sure about posting the 3rd one, but I liked how much the trees lit up. J After this, our work was done here. There are so many more compositions to be had all over this area, so we headed down and setup camp around Sprite Lake, then hiked back up to Gnome Tarn(or Gnome Puddle as Alan referred to it) for some sunset pictures. It still had a reflection shown to us by Jesse who had been there the day before, so we gave it a try. The epic sunset we were hoping for never happened, so if you care enough to see what it looks like, check it out on Instagram. In the morning it started to rain and since the last weather report had it raining for two days, we assumed the rain had arrived early so we packed up and headed home a day early. The rain didn’t let up for the rest of the day, making 9 mile hike down to the car pretty brutal, but we persevered and enjoyed some amazing hamburgers back in Leavenworth before driving home. I can’t wait to come back! These shots are all incredible, man. 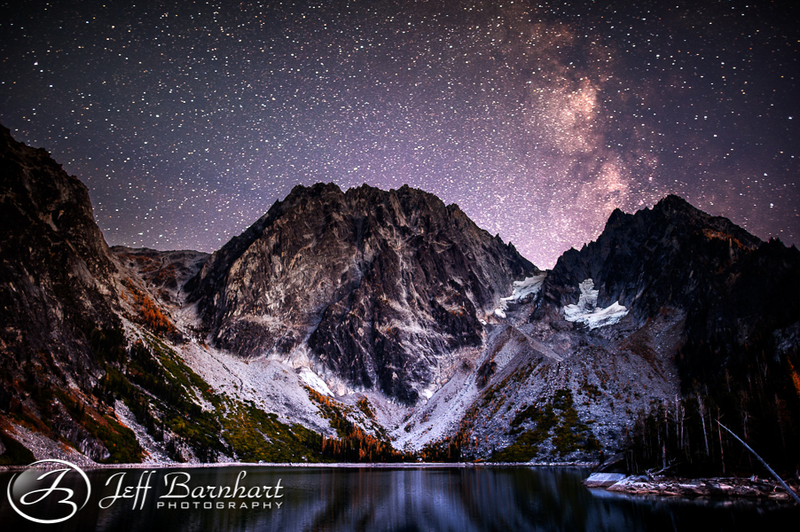 Love the night shot of Colchuck. 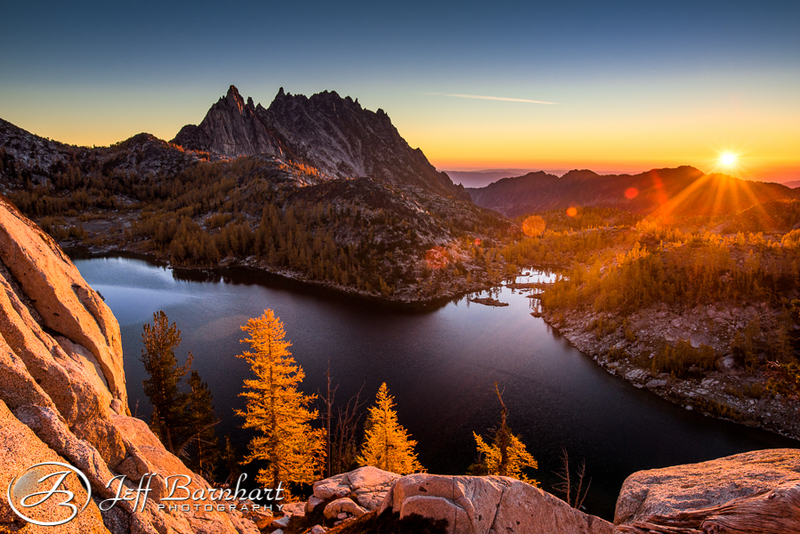 My favorite Perfection Sunrise shot is the second one. But I do like the third one for the same reasons you stated.